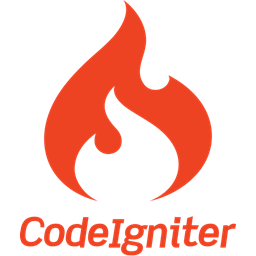 I recently wrote about How To Work With RESTful Services In CodeIgniter 3.X – today’s topic is how you extend the CodeIgniter REST server to give your APIs better availability and reliability. If you’re already experienced sudden increases in API traffic that affects the quality of your service, then you want to read on as I will give some tips on how you can manage your API’s usage. If you have experienced increased traffic, you may have already added more capacity to your infrastructure to accommodate increased API usage. What you also need to factor in, is how robust your APIs are and if the APIs are built for scale and ensure that one bad API user can’t accidentally or deliberately affect your service availability. One of your users is responsible for a spike in traffic, and you want to block or control users API usage..
A user is sending you a lot of lower-priority requests, and you want to make sure that it doesn’t affect your high-priority traffic. For example, users sending a high volume of requests for analytics data could affect critical transactions for other users. This all depends on what type of PIs your are providing. If you have downloaded Yggdrasil from Github, in the folder app->config you will find rest.php, in rest.php you find all the config values to restrict and manage the CodeIgniter REST server that is included in the Yggdrasil repository, I will now go into in more details, regarding how you can restrict usage to your API’s and how that is configured in Yggdrasil. To get better control of your API users you should setup Authentication, often a service just gives you an API to use, if you API authentication on, there are several ways you can configure authentication. Acceptable values are; ‘none’, ‘digest’ and ‘basic’. When set to true REST_Controller will log actions based on API key, date, time and IP address. You can view the API log to see who is an abuser of your API, when you find the offender you should add them to the blacklist. Next you would look at the offending API user in the API log, and take the IP address and add it to the rest_ip_blacklist in the rest.php. Adding the IP addresses will block these ip addresses from accessing the API. Instead of blacklisting API users, you could do the opposite to whitelist API users as to your preference. You would need enable the Global IP Whitelisting, which will limit connections to your REST server to whitelisted IP addresses. Set to true with auth set to false to allow whitelisted IPs access with no login. 127.0.0.1 and 0.0.0.0 are allowed by default. When set to true REST_Controller will count the number of uses of each method by an API key each hour. A rate limiter is used to control the rate of traffic sent or received on the network. When should you use a rate limiter? If your users can afford to change the pace at which they hit your API endpoints without affecting the outcome of their requests, then a rate limiter is appropriate. If spacing out their requests is not an option (typically for real-time events), then you’ll need another strategy outside the scope of this post (most of the time you just need more infrastructure capacity). If you carefully implementing a few of the suggestion mention in this article and you create a strategy around your API’s, it will help keep your APIs available for everyone, you could even monetize your APIs. I’m here to help, you can reach out to me by commenting below.